This is a 1/48 scale Grumman F-14D Super Tomcat. 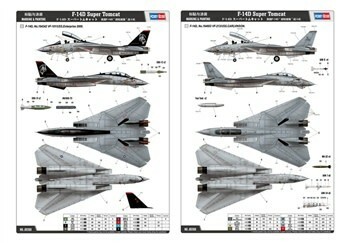 HobbyBoss. 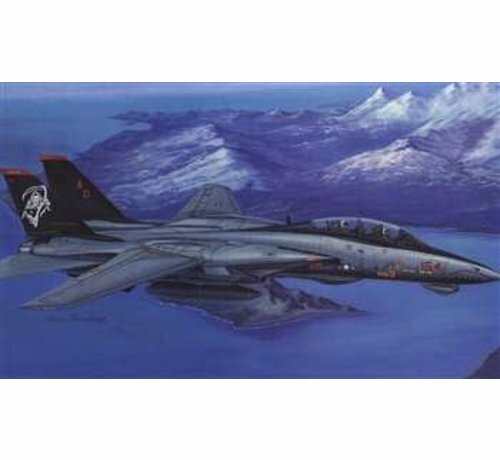 Grumman carrier capable, supersonic, twin-engine, 2-seat, variable-geometry, interceptor/air superiority fighter and multirole aircraft - final production 'D' variant. . Kit features fine engraved rivets and panel lines, fully appointed tandem cockpits, radar package face and antenna (with optional open radome), cannon bay interior, optional position slats and flaps, intake trunks, detailed engines, choice of open or closed exhaust nozzles, optional position multi-part canopy, refueling probe, optional deployed boarding steps, separate speed brakes, excellent wheel wells and landing gear, vinyl tires and photoetch details. 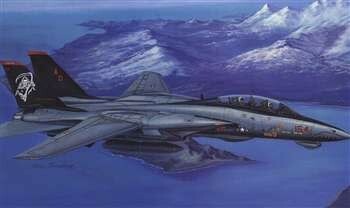 Also includes external stores: AN/AAQ-25 LANTIRN targeting pod, AIM-54 Phoenixes (x6), AIM-7 Sparrows (x6), AIM-9 Sidewinders (x4), Mk 82 bombs (x4), GBU-12s (x2), GBU-31 (x2) and drop tanks. 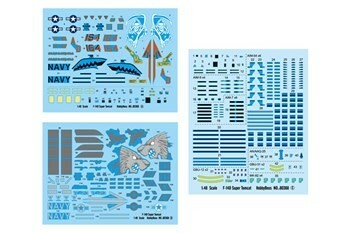 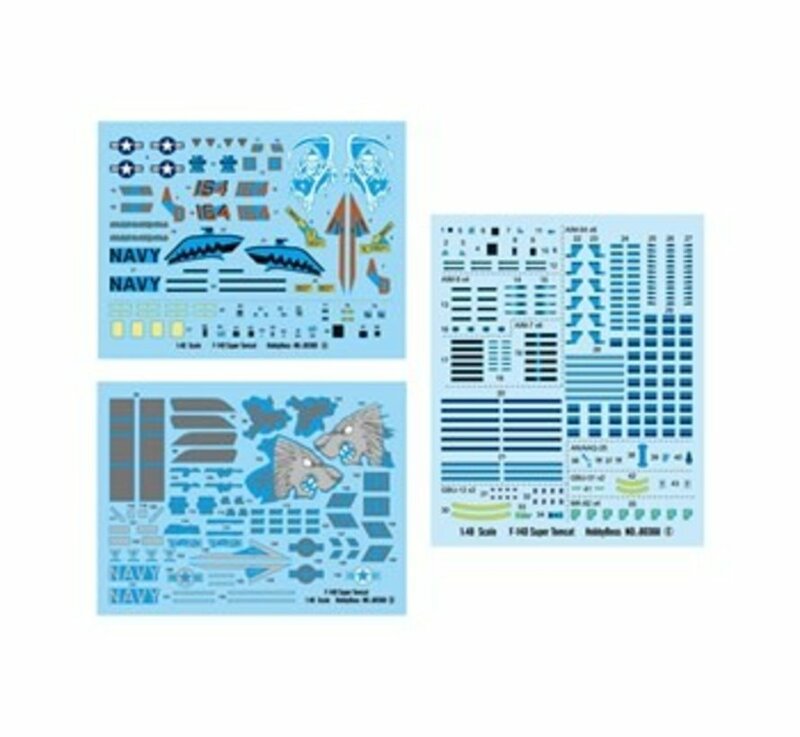 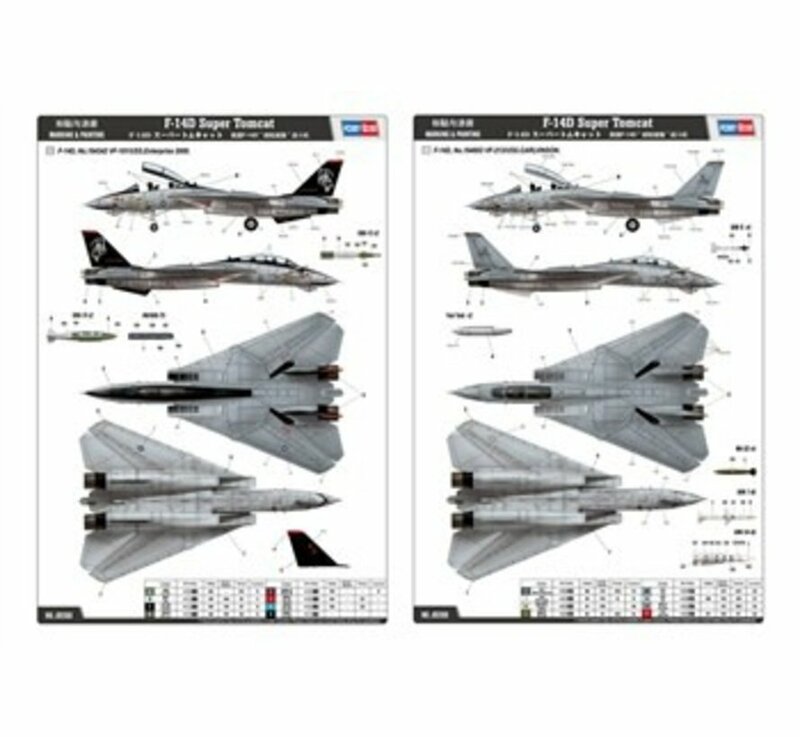 Decals and color painting guide for 2 USN aircraft: BuNo 164342 of VF-101 onboard USS Enterprise, 2000 and BuNo 164603 of VF-213 onboard USS Carl Vinson - includes stencil data and weapons markings.